Family-owned and operated since 1984, Professional Garage Services provides honest and reliable garage door service throughout the Twin Cities and surrounding northern areas. 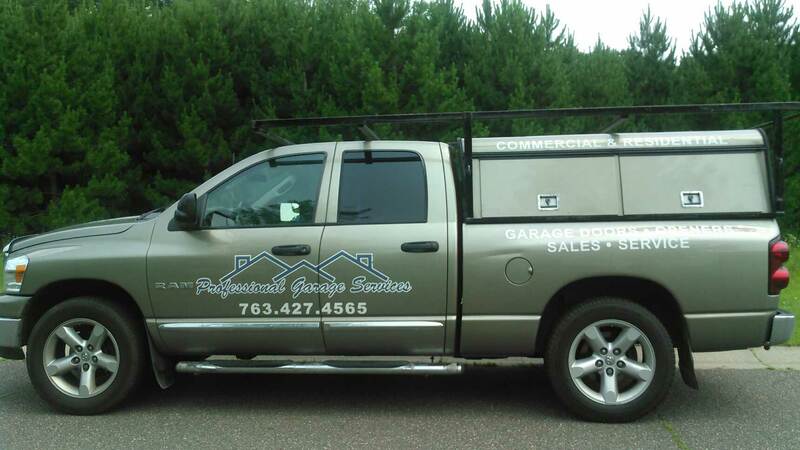 At our core, Professional Garage Services values honest and dependable work. Over the past 35 years we have built relationships with trustworthy garage door manufacturers to ensure we can offer you the best garage doors and garage door openers available to match your style and budget. Each day we strive to provide excellent customer service and we feel very fortunate that a large portion of our workload has come from customer referrals. When working with us, expect your needs and concerns to be handled efficiently and professionally. Whether you are in the market for a new garage door or require any garage door or garage door opener services, we can help. Contact Us Today to Get the Care and Expertise You Deserve! We are your trusted local garage door specialists, open Monday through Friday, 8:00am – 5:30pm.